Can you look at a Nutrition Facts label and know if you are getting too much fat or sugar from the pre-packaged foods that you eat? If not, this class is perfect for you. 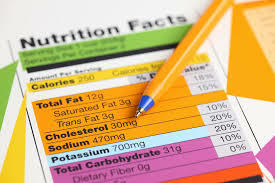 This class will review how to read a Nutrition Facts label so that you can control how many calories, how much salt, sugar and other nutrients you are getting in your pre-packaged foods.